An engineer with a serious knee condition once went to confession to Padre Pio merely out of curiosity, but not out of any religious desire to receive the sacrament. He was an intellectual, he told Padre Pio. He believed in God, but the idea of going to confession was rather too simplistic for him. He only wanted to meet the famous priest he had heard so much about. Padre Pio had never met this man before, but he had received a prophetic word of knowledge about the state of his soul. The man was so taken by surprise, Clarice Bruno writes in her book Roads to Padre Pio, that he made a good confession. Later, walking home, he realized that he no longer needed to walk with a cane. His knee had been healed. Later, he became one of Padre Pio’s most faithful spiritual sons. Echoing the Gospel story of the paralytic whose friends lowered him to Jesus through the roof, the engineer’s physical healing was an outward sign of the deeper reality that, in Jesus’ words, “the Son of man has authority on earth to forgive sins” (Luke 5:24). St. Pio was known for having the gift of reading souls — a mystical knowledge of a person’s heart and conscience that the Holy Spirit grants for the benefit of the person’s soul. Many other saints, such as St. John Vianney and St. John Bosco, had the same gift. An unbeliever once came with friends to see St. John Vianney. 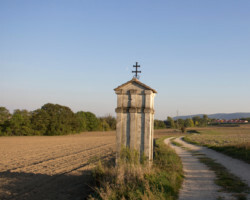 The man had no intention of going to confession, Leon Cristiani writes in the book Saint John Vianney: The Village Priest Who Fought God’s Battles. But on seeing the man, the saintly priest beckoned him to come speak with him in private. “It’s been a long time since you’ve been to confession,” Fr. Vianney said, shaking his hand. More than two centuries later, his words ring true in my own life. Every time I leave the confessional, I feel that same “indefinable sense of well-being.” The lightness I feel after receiving the sacrament of reconciliation makes me feel like I’m walking on air. On the other hand, before I go to confession, it often feels like the opposite of walking on air. The weight of a ton of bricks presses on my shoulders. Everything in my life feels too hard, too much, too heavy. I know I should go to confession, but I don’t feel like going. I don’t have the strength, the energy, the stamina I need in order to get there. In the world of spiritual warfare, this is oppression—and when I recognize it, I know I must fight it. The enemy prowls about the world seeking the ruin of souls, as the St. Michael prayer says, and he certainly does not want me going to confession. If I remember to invoke St. Michael’s intercession, the archangel will give me the heavenly protection I need in order to make it to confession. The battle in which I find myself before going to confession is a battle for my soul. No wonder so many people stay away from confession for so long: They are in the grip of a powerful force pulling them in the opposite direction! But the power of the sacrament is stronger and will never be vanquished. “The light shines in the darkness,” St. John the Evangelist tells us, “and the darkness has not overcome it” (John 1:5). The Lord sends holy priests, such as St. Pio and St. John Vianney, to bring people back to the sacrament. If the Holy Spirit grants them words of knowledge, it is for the good of the souls to whom they minister. Yet it is not only in the biographies of saints that such stories abound. He was caught off guard, however, when the foreign priest spoke English after all. Flustered, he reverted back to his former pattern of omitting sins. “Is that all?” the priest asked. “Yes,” the teenage version of my husband answered. The priest was silent, put his head down, and then looked up again. “Well,” the priest said slowly, “what about this…? And this…?” He proceeded to name the exact sins my husband had omitted. The priest was just as surprised as my husband was; he said this was not something that usually happened to him. But the Holy Spirit was in control; He knew exactly what my husband had intended and needed to say, and provided the way for him to make a good confession. The gift of reading souls is fascinating, but it is the sacrament itself that unites us with the God who made us. Whether or not a priest has a mystical knowledge of souls, the actual grace of the sacrament is the real prize. Though these stories intrigue me, I have never had such a thing happen to me, and I think most people would say the same. The standard confession does not involve the reading of souls. Yet the power of the sacrament is in no way lessened by its ordinariness. I feel its supernatural strength just the same. When the priest says the prayer of absolution—“God, the Father of mercies…”—I close my eyes and rest in its beauty; the words wash over me, and I feel the Living Water restoring my weary, tired, thirsty soul. May God grant us the grace to partake frequently and sincerely of the sacrament of reconciliation, where the Divine Physician waits to heal the brokenness of every precious soul who comes to meet Him there.